24" RADIUS BLOCK WITH 5 DUCTILE IRON SHEAVES | Tallman Equipment Co., Inc.
24" Radius blocks are used instead of full diameter blocks. Lightweight and durable, they rotate freely from a vertical to a horizontal position when used on a corner structure. 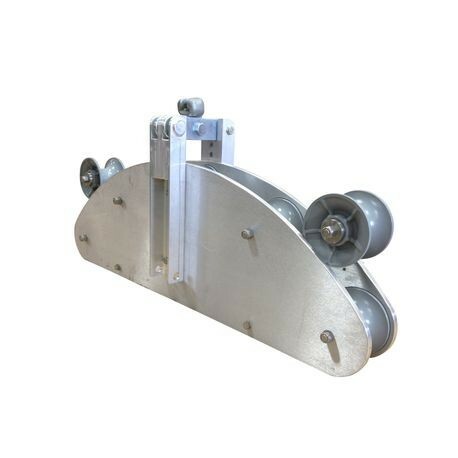 Accepts wire up to 3" diameter. 5" diameter sheaves and two captive rollers that are ductile iron.